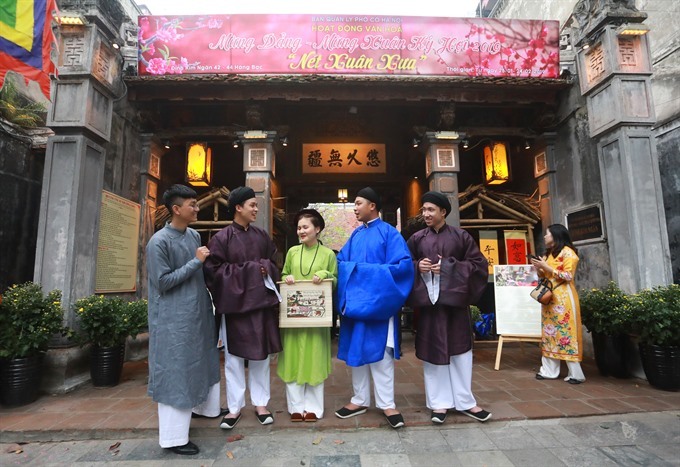 HA NOI — A series of cultural activities have been organised at historic relics and cultural spaces in downtown Ha Noi’s Old Quarter featuring ancient Vietnamese customs for the Lunar New Year. 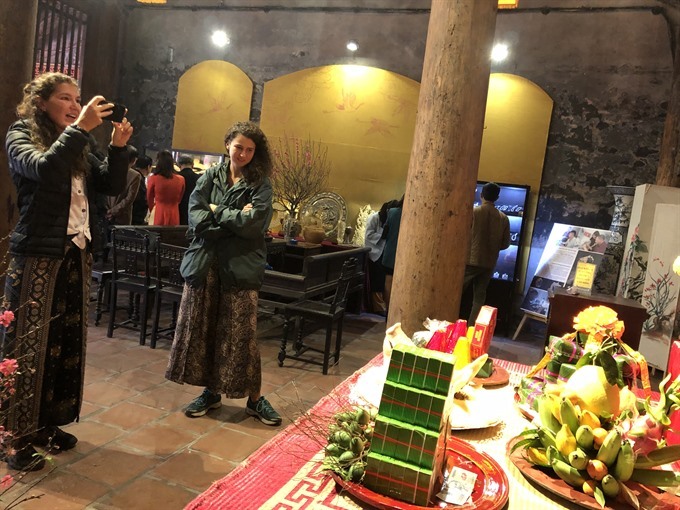 At Kim Ngan Communal House, No 42 and 44 Hang Bac Street, visitors can experience traditional decorations for public spaces at a common gathering house and offerings to the village god of various local delicacies like banh com (cake made from sweetened green young rice bean and coconut) and banh chung (sticky rice square cake). 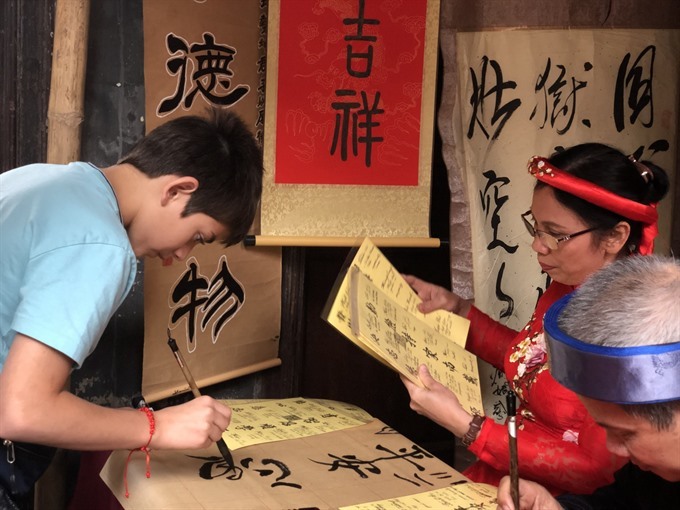 Calligraphy artists at the site are offering tourists letters to bring home. 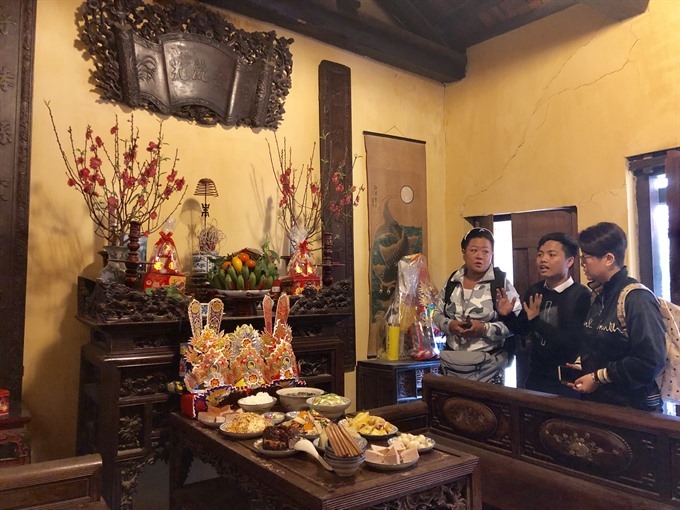 Just a few minutes’ walk from the House, at Ancient House No 87 Ma May Street, images and objects of ancient Tet (Lunar New Year) customs are displayed. 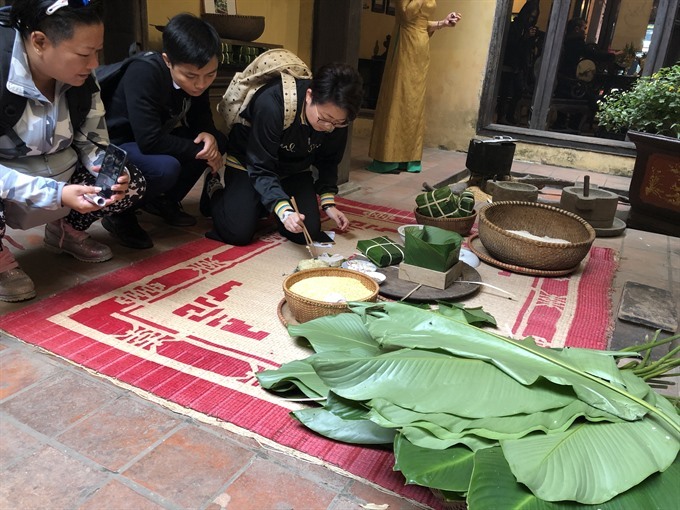 Tourists can see the traditional meals Vietnamese people offer to their ancestors, participate in collecting bonsai, enjoy tea and join in the making of banh chung. 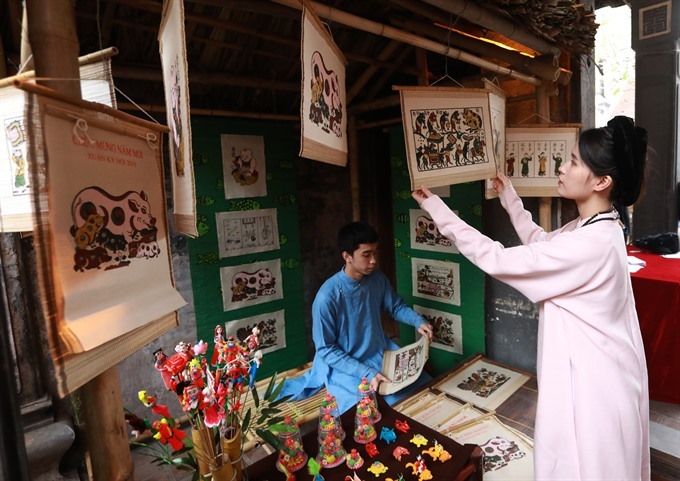 Another highlight is an exhibition of paintings on do (poonah) paper made in Duong O Village in the northern province of Bac Ninh and ceramic art works from Huong Canh Village in the northern province of Vinh Phuc at the Old Quarter Culture Exchange Centre, 50 Dao Duy Tu Street. The exhibition opened on January 25 and will host researchers and collectors who will share their knowledge of do paper. 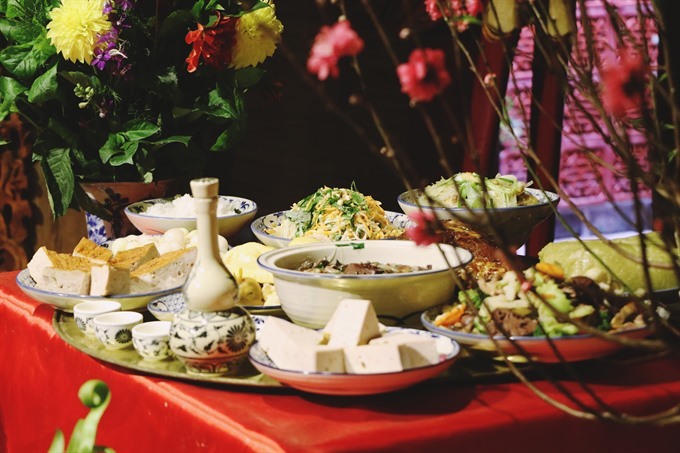 Artisan Giang Thi Nhan from Huong Canh Village will make ceramic objects by hand at the site. 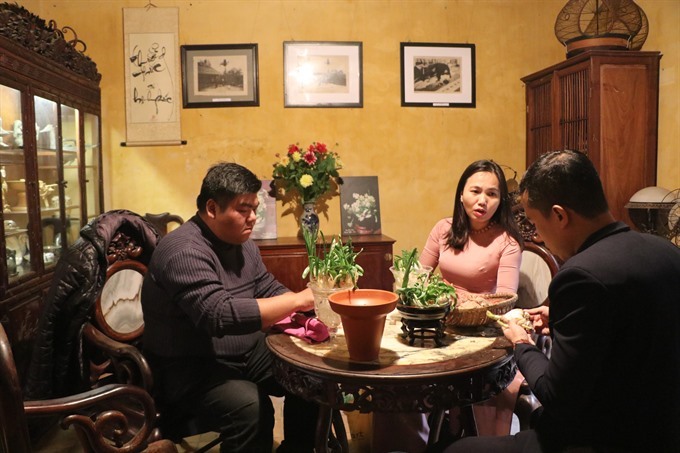 Not far from there, at the Heritage Information of the Old Quarter at 28 Hang Buom Street, three ancient genres of paintings – Dong Ho (from Bac Ninh Province), Kim Hoang and Hang Trong (Ha Noi) – will be on display. 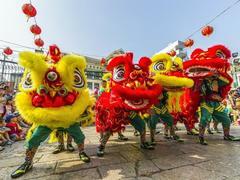 Phung Hung mural street, Hang Ma Street and the flower market on Hang Luoc Street will create a relaxing pedestrian area for locals and tourists to buy traditional foods, decorations and flowers for Tet.